Ben Horan has had quite the year. The professional wakeskater has travelled across the country finding the most “remote” locations to feed his quest to take wakeskating to new places and introduce it to new people. His love of the sport and of life hit a life-long high in 2011 by this son of free spirited parents. Horan’s star status shone so brightly this year that TransWorld Wake Magazine named the NIKE 6.0/Sea-Doo athlete the Best Wakeskater of the Year. Horan’s adventures have received substantial coverage in wake industry magazines and his on-line videos have been clicked on over 100,000 times on YouTube, Vimeo and a plethora of other watersports websites. 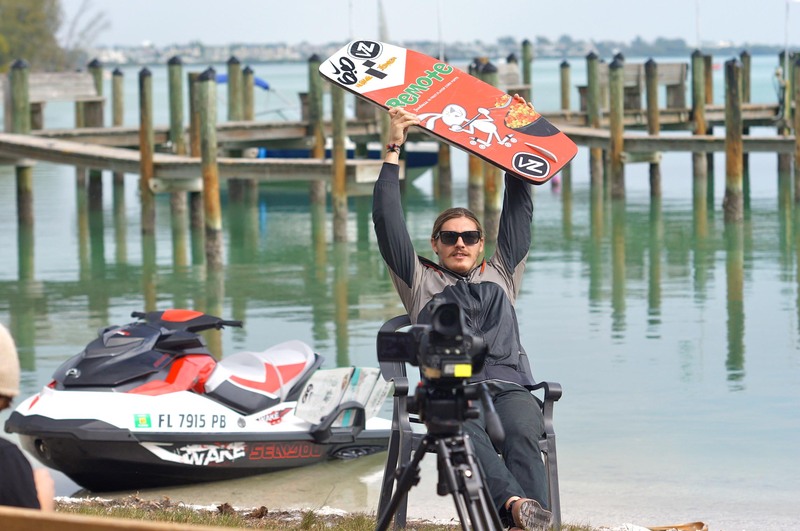 His silky smooth style and countless hours behind his Sea-Doo watercraft (actually we did count and he amassed over 460 hours on his 2011 WAKE 155 model) led him to multiple podium finishes in the sport’s biggest contests. Horan finished in the runner up spot at the 2011 Byerly Toe Jam contest in Orlando and took home the crown in Nike 6.0’s “Retention”; a contest in his own backyard rail park. His down to earth, laid back personality lends well to attracting young fans to watersports and has defined Horan as a true ambassador of the SEA-DOO LIFE. Horan is not all strawberry fields and tie-die t-shirts, he is also very driven off of the water to push the sport forward by co-founding REMOTE wakeskates building products that offer great quality boards at a price younger riders can afford. Keeping things simple and affordable are a few of the reasons Horan utilizes Sea-Doo watercraft exclusively when riding on open waters. OnBoard recently caught up with Horan in North Carolina on a “remote” wakeskating adventure story for a major Boating publication and we asked him about his “SEA-DOO LIFE” as a professional wakeskater. ONBOARD – Ben, where did you grow up and where does your passion for watersports come from? BEN HORAN – I grew up in Nahunta, Georgia and my parents encouraged me to be outside, this ended up including sun up to sun down skateboarding sessions. I dug watersports as a kid and saw the Cassette/Sea-Doo wakeskate team in the early 2000s doing such cool things on the water and the sport shared so many aspects of skateboarding that it really drew me in. With Wakeskating I can skate in the summer when it is too hot out to skateboard! Now, I skate on the water in some really cool places with my Sea-Doo and winch. ONBOARD – What do you do when you are away from the water to stay on the water? What’s your profession? BEN HORAN – Being on the water is my profession. Off the water I skateboard a lot and that helps me stay on the water. It’s a win-win situation! Other than those two activities I am heavy into helping REMOTE grow as a company. It’s a lot of work lining up the production and distribution of the product, the design is relatively easy but to mass produce that design is what will turn the dream to into a reality. ONBOARD – Ben, How were you introduced to Wakeskating? BEN HORAN – There was a shop in Jacksonville, Florida that produced a pro clinic with professional rider Thomas Horrel, and some other pro wake skaters, riding behind Sea-Doo watercraft. This was around 2003 or 2004. I didn’t really know what wakeskating was. I tried it and realized that they were just skating on the water! I had no idea what wakeskating was until I saw it and it just clicked. I love skateboarding and I love the water so why not do it! ONBOARD – Ben, since then, what are some of the adventurous rides you have been on? BEN HORAN – Wakeskating in the Philippines was pretty sick! I also had the opportunity to go to Germany the past two summers and travel all around the US. We just finished doing an off the wall adventure story in North Carolina and that was really cool! The mountains are so sweet! ONBOARD – What is your favorite wakeskate event that you have been a part of? BEN HORAN – The Nike 6.0 Retention contest. My Nike and Remote teammate Silas Thurman and I produced the event at my house and it was really one of the sickest events I have ever seen and been a part of! It sounds weird coming from me, but it really took the sport to a new level of wakeskate contest. Simply seeing how much wakeskating has grown is so cool! ONBOARD – Ben, how does Sea-Doo fit into your riding? 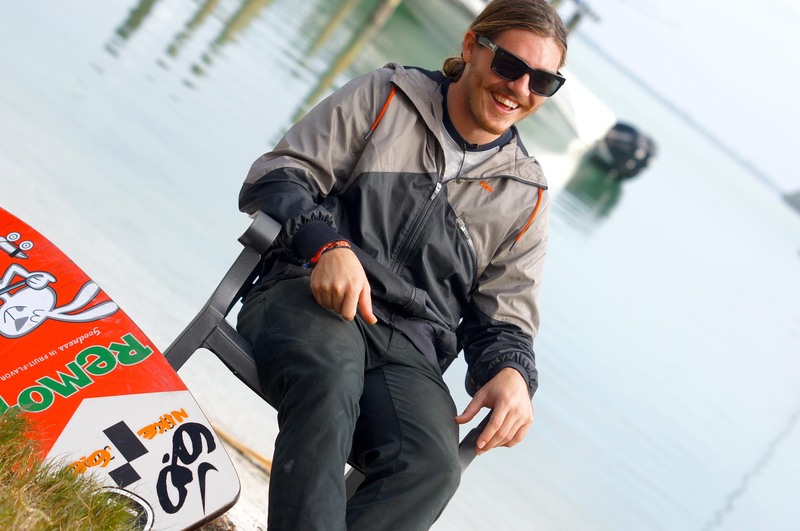 BEN HORAN – Sea-Doo watercraft are what I ride behind to learn all of my tricks. The WAKE models are so fast and easy to get back up behind (while being towed) and learn tricks behind. My Sea-Doo is truly what has brought me to where I am today. There is no other watercraft on the market supporting wakeskating like BRP, plus none with so many wake specific innovations like Ski Mode, the tow pylon, board rack, brakes, power….so I would say it fits the sport just right! ONBOARD – Tell us about your backyard and the life in Nahunta. BEN HORAN – I have a retention pond with a 5-foot (1.5m) spillway and two concrete ledges making it pretty much the best winch spot ever! The life in Nahunta…its nice, not to much going on when I’m off of the water, but its a really nice place to come home to. ONBOARD – Ben, what was the coolest riding you have done behind a Sea-Doo? BEN HORAN – I love riding down at Nick Taylor’s place in Anna Marie Island, Florida, it is pretty sweet, but my favorite places to ride are the small rivers up in Georgia by my house. Ben Horan is happy living the Sea-Doo Life. ONBOARD – What is it about Wakeskating that keeps you coming back? BEN HORAN – Wakeskating is still so new and there are so many things to do and push. Everytime I ride behind my Sea-Doo or go on a winch trip I can’t wait to go on another! ONBOARD – Ben, where is your favorite riding location and where is your dream ride? BEN HORAN – My favorite place to ride would be…that’s a hard one. Silas has a real cool spot in Clermont, Florida and the small rivers around my house are sweet. I really want to go back the Fontana dam (North Carolina) and ride there in the summer. That place is the perfect spot to film some epic action behind a Sea-Doo, with all the mountains in the background, it’s really cool visually and the water is smooth as butter! ONBOARD – Who are you riding for right now and what adventures do you hope to do over the next year? BEN HORAN – I have the full support of REMOTE Wakeskates, Nike 6.0, Vonzipper, BRP/Sea-Doo, RW winches, WeSubsist.com and I am starting a wakeskate hardware company soon called Aquarium Hardware. We will market handles, grip tape, fins and other things for wakeskating. We are also starting to work on a Remote Team video soon so I’m sure I will be working on that stuff all this next year plus some new Sea-Doo “DOO IT” videos. BRP thanks Ben Horan for his time and passion for the sport and dedication to push wakeskating forward and bring the youth into this activity. You can follow Ben’s adventures on the OnBoard blog and on his Facebook page, Ben Horan. Me and my family have been sea doo fans for 20 yrs now and it is enjoyable to see the same last name get to the top of the wake world. AWESOME!!!!! !